If you want to be seen, go B.I.G. A Division of Jym Line Glassware Ltd. 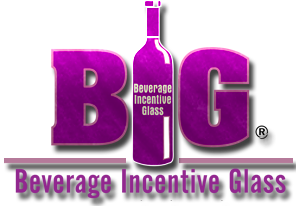 Welcome to Beverage Incentive Glass! We offer factory direct pricing and typically can offer pricing for less than you can buy plain ware. Please contact the factory for a list of current specials and larger volume pricing. Custom decorated Growlers, Flip tops and Glassware. Choose your custom decorated glass, stein or taster. Also we can decorate bottles with custom screened logos. Applied ceramic labeling(ACL) to custom decorate your bottles, we specialize on small affordable runs. Also a full range of wine, stemless and crystal glasses. Custom decorated glassware and ceramics that can be bought for less than the cost of plain ware, or use a logo as a pour line to save on over pour. Copyright © Beverage Incentive Glass. A Division of Jym Line Glassware Ltd. All Rights Reserved.